My parents were around at mine from Nigeria and my kitchen was super busy. You know why? 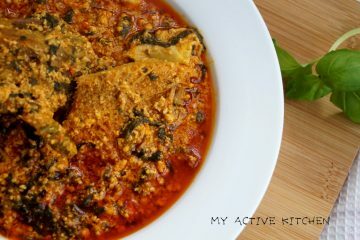 I promised to make different meals especially Nigerian soups everyday for a week. 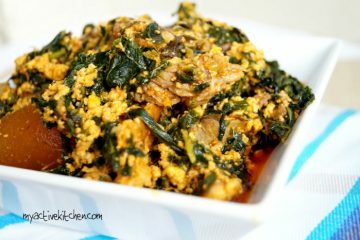 I made this egusi soup on day 2 and it was loved by all. 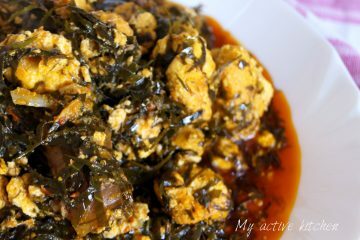 I used 3 types of vegetable leaves and one of them is my favourite, uziza leaves. I was on the phone to my mum and our conversation soon turned to food. 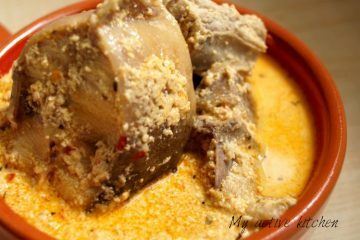 My sister cooked obe gbure elegusi some years back and it’s still the best gbure soup I have had till date. TBH, I have not been able to beat it. There is something about the soup that have never stopped me talking about it, the taste was out of this world, it was amazing.